Aerosols, suspended particles in the atmosphere, are thought to affect climate and weather condition via scattering solar radiation and acting as a cloud condensation nuclei (CCN), which can be a nuclei to form clouds. Among them, water-soluble organic aerosols, including low molecular weight dicarboxylic acids, are thought to have a large effect on a climate. Water-soluble organic aerosols are composed of not only primary emitted materials to the air, but also chemical degradation products of organic precursor compounds. Our laboratory has done many campaigns to reveal chemical compositions and distributions of organic aerosols at many locations. 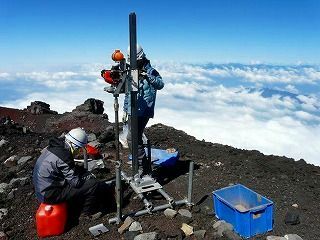 This study aim to reveal molecular distributions, origins and transport pathway of organic aerosols over East-Asia and North-East Pacific region by collecting filter samples at the summit of Mt,Fuji following the results of the 2009 campaign. We had set three samplers to collect aerosol samples for each objectives described as below. 1. High-Volume air sampler (HV): for Total Suspended Particles (TSP), which will provide enough amounts of compounds needed for detailed chemical analysis. 2. Middle-Volume Impactor (MVI): for size segregated aerosols which will provide information about origin and size distributions of the aerosols in the ambient air. 3. Low-Volume impactor (LV): for organic acids such as formic and acetic acids, most of which exist in a gas phase in the air. The quartz filters that were impregnated with KOH were used to collect gaseous organic acids whereas particulate organic acids were collected on neutral quartz filters. 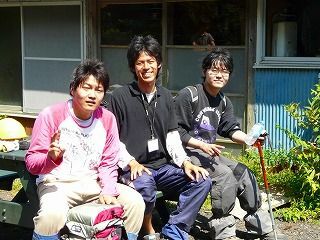 Sampling campaign had conducted from July.8th to August 25th 2010 at the outside of the 3rd building at Mt.Fuji weather observatory. 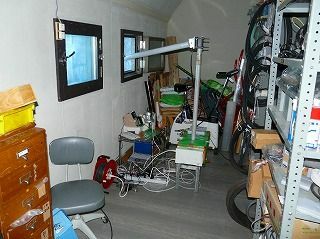 11 HV filters, 10 LV filters and 7 sets of MVI filters were collected in this summer. Dicarboxylic acids will be measured by using GC/FID and GC/MS after dibutyl esterification of target compounds. And other organic compounds which was emitted from biomass burning and secondary products of biomass emissions will be also measured. We will consider about effects of these compounds to the free-tropospheric environment. 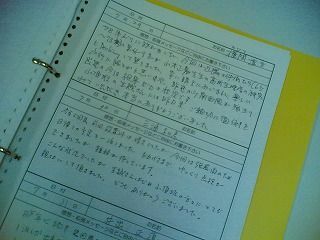 By analyzing samples we collected last year, we could identify chemical compositions and size distributions of various organic compounds over Mt.Fuji, and the results also suggested that many organic compounds are transported from the planetary boundary layer to the summit. We expect that this year’s sample will bring us more insights about free-tropospheric organic aerosols. This research is a part of our interdisciplinary research project to understand permafrost on Mt. 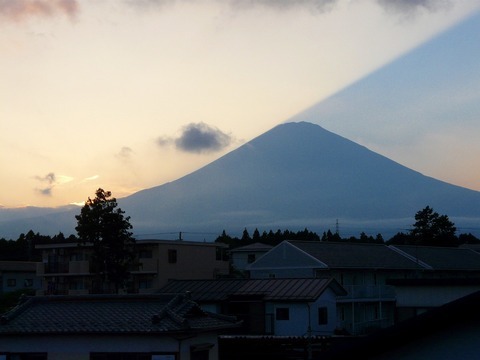 Fuji, to monitor its change and to evaluate the impact from changes of climate and volcanic activity on surrounding environments. 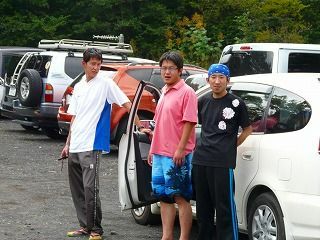 We planned to dig a pilot borehole for ground temperature monitoring on the summit of Mt. Fuji. 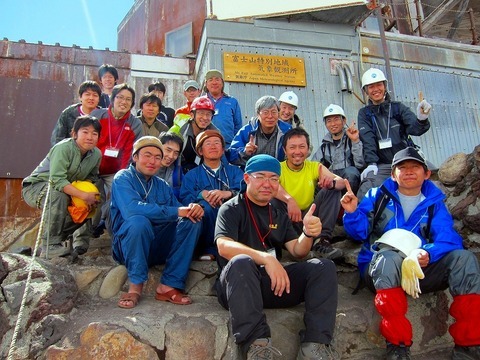 We stayed at the summit from August 17 to 23, and succeeded to make a 9.7 m deep borehole on the ridge near the Hakusan-dake peak. 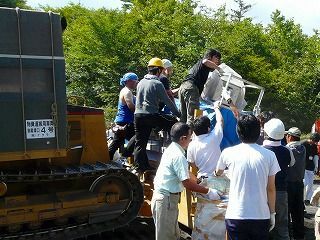 Fifteen temperature sensors were installed in the borehole and automatic record of the data was started. The frost table lay at the depth of 1.1 m at the beginning of the drilling. In addition, ice filled the voids of porous rock even at some deeper sections. However, the drilling through hard lava layers (or boulders) heated the borehole. Thus, we have to check the following change in temperature carefully to discuss the presence of permafrost and more. 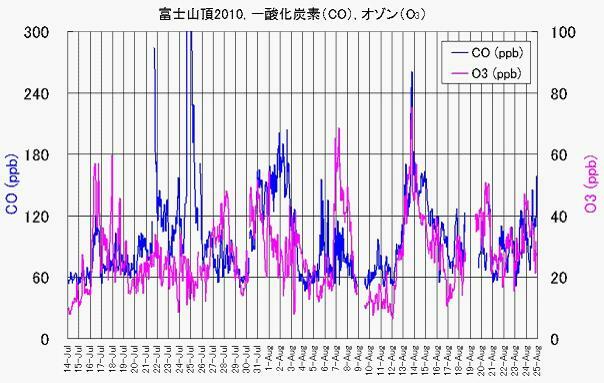 Atmospheric carbon monoxide (CO) and ozone (O3) were observed at the top of Mt. 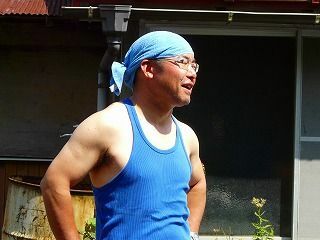 Fuji during summer in 2010. 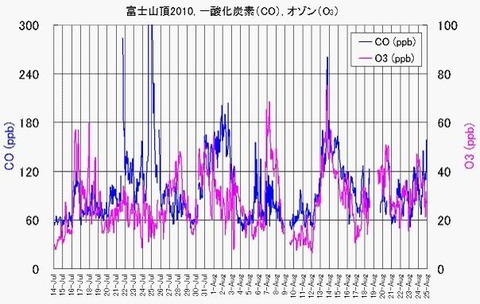 CO is produced by combustion process and it can work as indicator of polluted air. O3 is produced by photochemical reaction of polluted air. Generally the observed CO and O3 showed similar concentration change with significant variation. 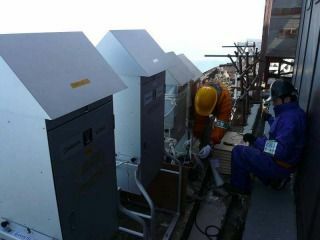 It is suspected that the air was influenced by long-range transport of polluted air from remote polluted area.